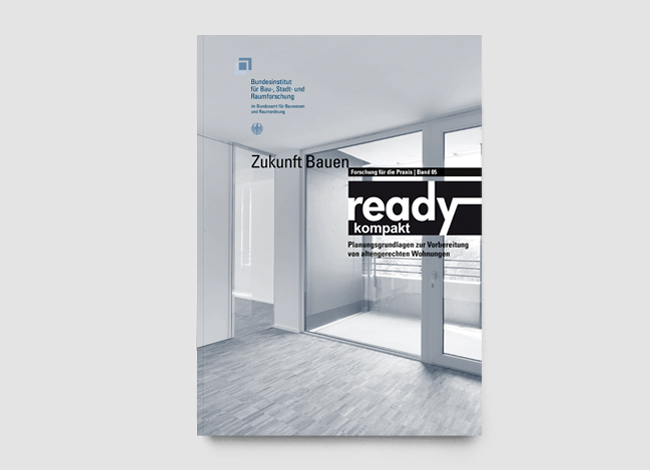 Ready defines the minimum requirements for a dwelling prepared to be suitable for the elderly. An attempt has been made here to take a balanced consideration of all aspects, in order to arrive at a minimum standard for rollators and wheelchairs which—unlike the DIN standard—can also be accepted by the free housing market. The flats are “suitable for visitors”. 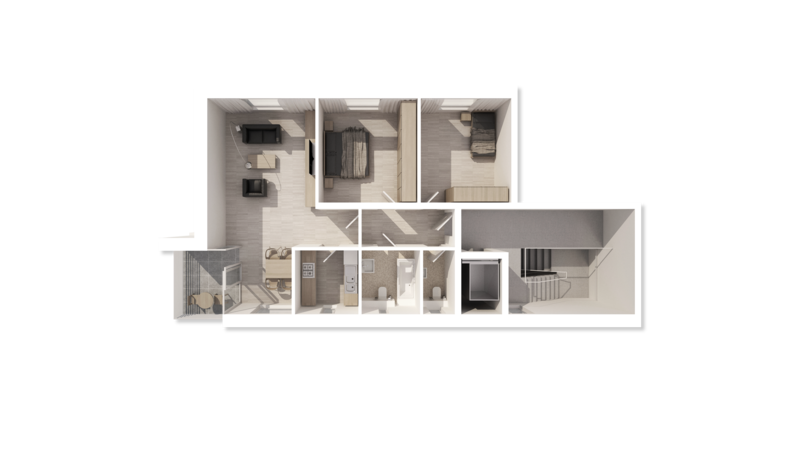 While the complete flat is not equipped to be suitable for wheelchairs according to the DIN standard, it has undergone simple structural preparations for a visitor in a wheelchair, e.g. 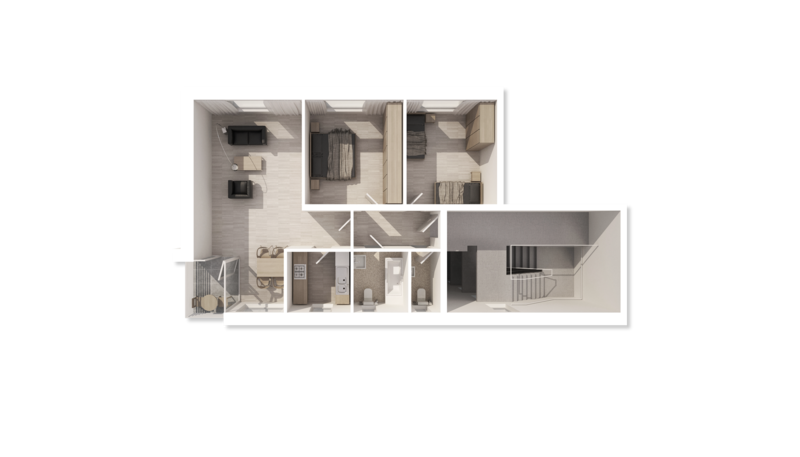 doors of adequate width as far as the living-room and dining area, or the possibility of using the lavatory—even if the lavatory itself does not come up to DIN requirements. 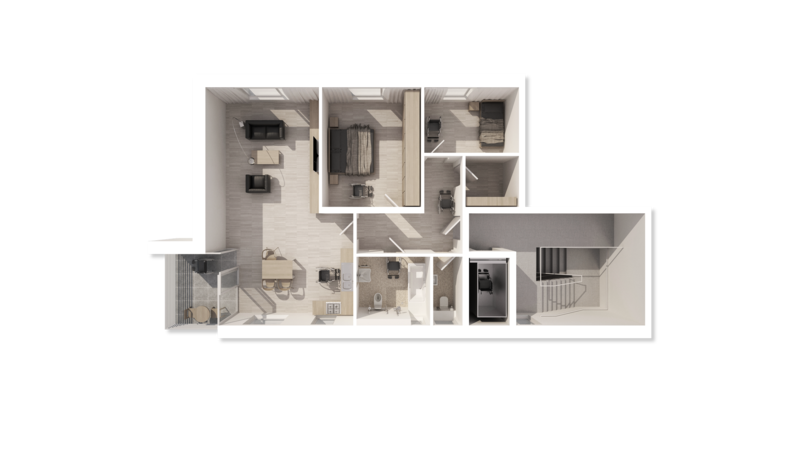 Ready Plus defines the recommended level of equipment and furnishing for each dwelling. Taking into account the benefit, effort and expense, the “standard” level offers a balanced possibility of making full use of the whole flat with a rollator and, after the conversion, with a wheelchair. In this respect, there are a small number of aspects where we do not go so far as the DIN standard, but on the other hand, there are also some aspects where we require more – to suit the elderly (e.g. very convenient staircases with handrails on both sides). What if I had a lot of money and could have anything I wished for? All Ready lists here what a fully equipped, comfortable dwelling suitable for the elderly should look like. Even in the basic version, the flat is almost fully suitable for wheelchairs. After the individual adaptation in the bathroom, All Ready exceeds the DIN standard in many respects. In addition, however, there are other crucial factors for a dwelling suitable for the elderly: more comfort and more safety. ➝ order here or download here.